If you own investment property in Denver, you’ve probably seen its value increase significantly over the last several years. That means when it comes time to sell, you could find yourself with a significant tax bill. Depending on what tax bracket you’re in, the long-term capital gains taxes that apply to your real estate profits can take as much as 20% of earnings at the federal level; you’ll also pay 4.63% of your profit at the state level in Colorado. To avoid owing taxes on your real estate sale, you cannot touch a penny of the proceeds; the money must go directly to the seller of the property you’re buying in exchange. Since you’re unlikely to find someone who wants to trade your property for their property, specialized services called qualified intermediaries exist. In effect, they allow you to do a three-party swap while complying with tax laws. Investor A (that’s you) can sell to investor B and purchase from investor C; investor A doesn’t have to purchase from investor B (but you could). Even though it’s called a like-kind exchange, the replacement properties can actually be quite different from the property you’re selling. If you hold an apartment building, you don’t have to buy another apartment building. You could buy a gas station or a fast-food restaurant. You could exchange raw land for a hotel. The only restrictions are that the property must be used for investment purposes; not towards a personal residence. Also, it must be located within the United States. Want to sell a property in Texas to buy one in Colorado? No problem. LoopNet.com is a good place to see what’s for sale nationwide. You can identify up to three replacement properties, but you must close on one of them, so choose carefully. There are also more complex rules, the 200% rule and the 95% rule, that you could follow instead in selecting your replacement properties. Whichever option you choose, you must identify your replacement properties within 45 days of selling your property. When you don’t immediately exchange your property for another one, it’s called a deferred exchange. It’s possible that you could find a desirable replacement property to purchase right away, but a deferred exchange is a commonly used method that allows more flexibility and expands the universe of properties you can purchase. The IRS gives investors 180 days from the sale of their old property to close on their new property. To defer 100% of your tax liability, make sure to trade up and get no cash back. Purchase a replacement property or properties of equal or greater value than the one you are selling. Your qualified intermediary will then wire the seller the money that was deposited into your account from the sale of your property. Of course, nothing is simple when it comes to tax law. The 1031 process gets trickier if you’re exchanging property you’ve depreciated, property you want to improve, or property that is debt financed. If you don’t follow the timing requirements, your sale and purchase won’t qualify as a 1031 exchange. And if you receive any cash proceeds, you’ll pay taxes on them. There’s also a tricky way to use a 1031 exchange on a vacation home and an option for buying your replacement property before selling your existing one. Because the process has so many complexities, it’s recommended that you hire a 1031 exchange expert to help you navigate the process. 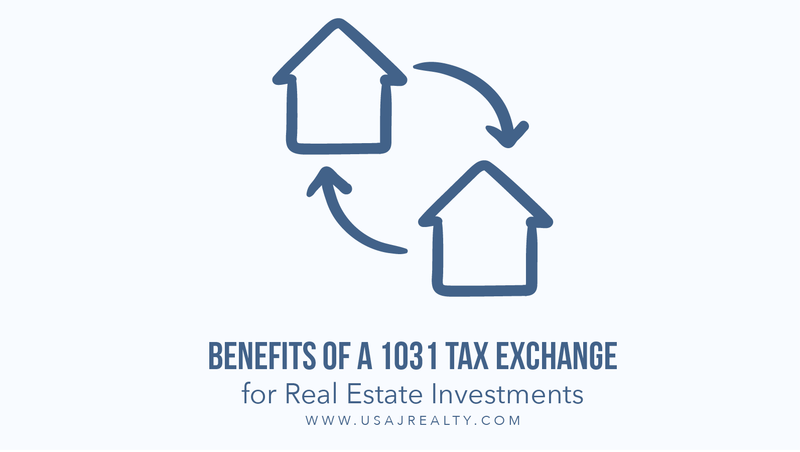 There’s no limit to the number of times you can do a 1031 exchange. Eventually, you may cash out and owe taxes. But by deferring taxes in the meantime, you’ll have more purchasing power when reinvesting. When you cash out, you’ll owe a single tax bill; if you’ve held that final property for more than a year, you’ll pay the lower, long-term capital gains rate of 0%, 15%, or 20% depending on your tax bracket (short-term capital gains are taxed at your marginal tax rate, which could be as high as 37%). And if you ultimately pass your real estate investments on to your children, you’ll never have a tax bill, and they’ll receive a step-up in basis. That means the IRS will treat the properties as if your son or daughter purchased them for the amount they were worth at the time of your death—not the amount you paid for them. That’s a huge tax savings you can pass along to the next generation to build family wealth. Denver Real Estate News | What the Latest Outlook?